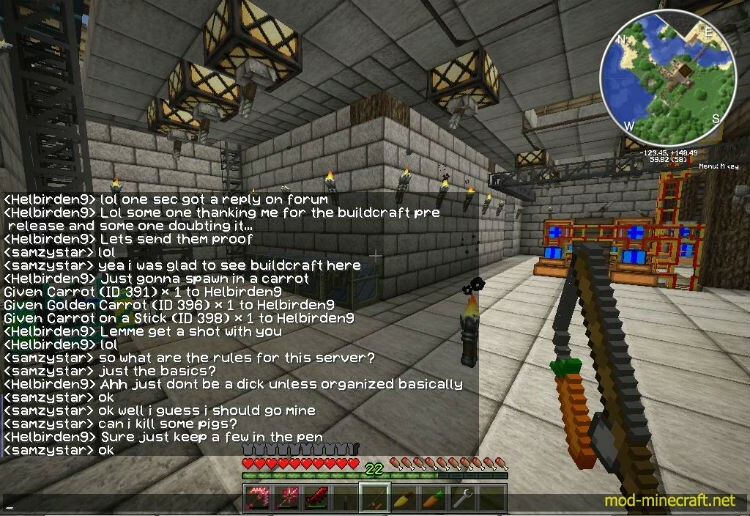 BuildCraft Mod allows players to build many new structures and mechanisms such as pipes, auto-crafting, quarries, engines and much more so as to extend to world. The major feature of BuildCraft is the pipes. Pipes are used to transport items, fluids, and mechanical energy between inventories/machines. There are many different types of pipes all with unique functions, including Wooden, Cobblestone, Stone, Sandstone, Iron, Gold, Diamond, Emerald and Obsidian. Pipes can be combined with Pipe Sealant to allow them to make Fluid Pipes that can transport liquids or with Redstone to make Kinesis Pipes to allow them to transport mechanical energy.